As the seasons change and the first snowfalls of the year arrive at Keystone, the excitement and anticipation for opening day and the approaching ski and ride season grows, as do questions from our guests about opening day. 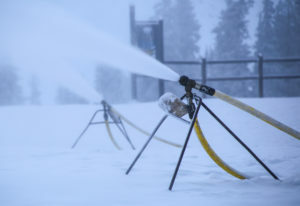 When will Keystone start making snow? What terrain will be ready for opening day? 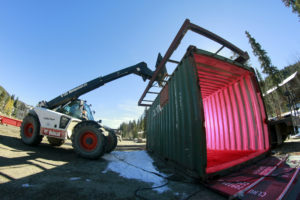 Will there be an early season terrain park? We know our guests are anxiously awaiting the start of the season (as are we), and so we wanted to take some time to answer these questions and provide a bit of the inside scoop on what to expect as we look forward to opening day on Friday, Nov. 4, 2016. Snowmaking is underway at the summit! This week our snowmaking team turned on the snow guns at Keystone’s summit, kicking off snowmaking operations for the winter season. They’ll be maintaining a close eye on weather each day and making snow at every opportunity as temperatures allow. Our snowmakers only need a handful of days with ideal snowmaking temperatures to get the mountain open from top to bottom so we still have plenty of time to get ready for opening day. If you’ve been to Keystone on opening day, you’re likely familiar with the Spring Dipper trail. 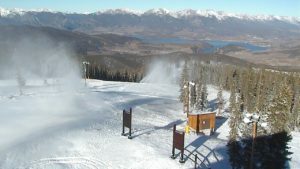 It’s an intermediate run along the eastern side of the mountain and in the past has always been the first run to open at the resort. This year we’re switching things up and introducing a completely new opening day terrain plan that we’re really excited about – focusing on the centrally-located Schoolmarm and Silver Spoon trails. Not only will this new plan allow us to offer an opening day ski and ride experience that is more accessible to a variety of guests, including our family guests, but it’s going to allow us to open and expand terrain more quickly and efficiently, including providing quicker access to the Mountain House base area, as well as our A51 terrain park. We’re hoping to open A51 a week or two following opening day and will be aiming to get access to Mountain House by Nov. 19th. A51 crew working on new features for this winter. One of the questions we get asked most frequently this time of year is “will Keystone have an early season terrain park?” The answer is yes, we do intend to offer early season terrain park features on opening day, however it is going to look different than in years past. Rather than building a park setup along the Ranger lift and dedicating resources to an area that will eventually be moved, this year we are looking to offer a few terrain park features for guests on opening day while primarily focusing our efforts and resources on getting the A51 terrain park area open as soon as possible. While we can never make promises when it comes to snowmaking and terrain openings since much of that is dependent on Mother Nature, we are extremely excited about our plans for opening day this year and think our guests will be excited, too. We look forward to seeing you all on the snow soon!